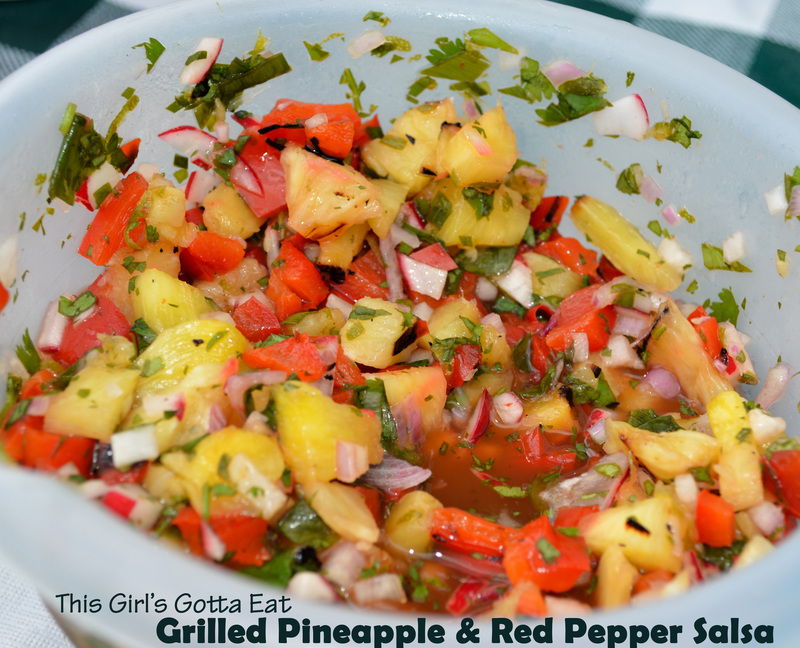 pineapple | This Girl’s Gotta Eat! I didn’t make it to the grocery store this past weekend, so meal-planning this week is all about using up my pantry/freezer, etc. I just so happen to have a little pineapple leftover from another meal, a can of black beans and some frozen cod. Sound strange? 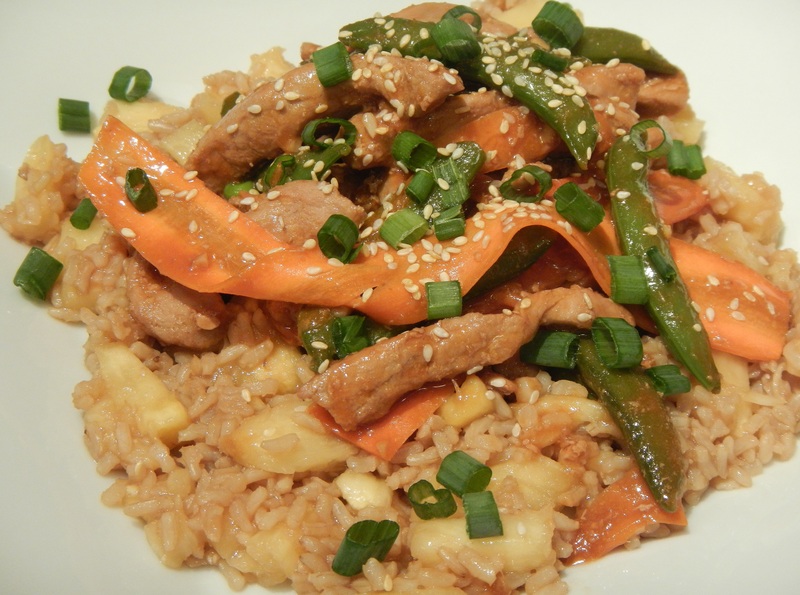 Believe it or not, it’s delicious….and super simple! Preheat the broiler to high. Arrange pineapple on a foil-lined baking sheet. Broil until lightly browned, 12 to 15 minutes, flipping once. Let pineapple cool, then chop. Season filets with salt and pepper; rub with 1/2 Tbsp oil. Arrange the filets on the same foil-lined baking sheet you used for the pineapple and drizzle with 1 tsp lime juice. Broil until opaque and flaky and slightly browned on top, 10 to 12 minutes. While the fish bakes, warm a drizzle of oil in a medium skillet over medium-high heat and cook onion for a few minutes. Add the chiles, a dusting of cayenne and the beans. Cook for a few minutes, stirring occasionally until the beans are warmed through. Remove from heat and let cool slightly, then toss with pineapple, cilantro and remaining 2 Tbsp lime juice and 1 Tbsp oil. Season with salt and pepper to taste. 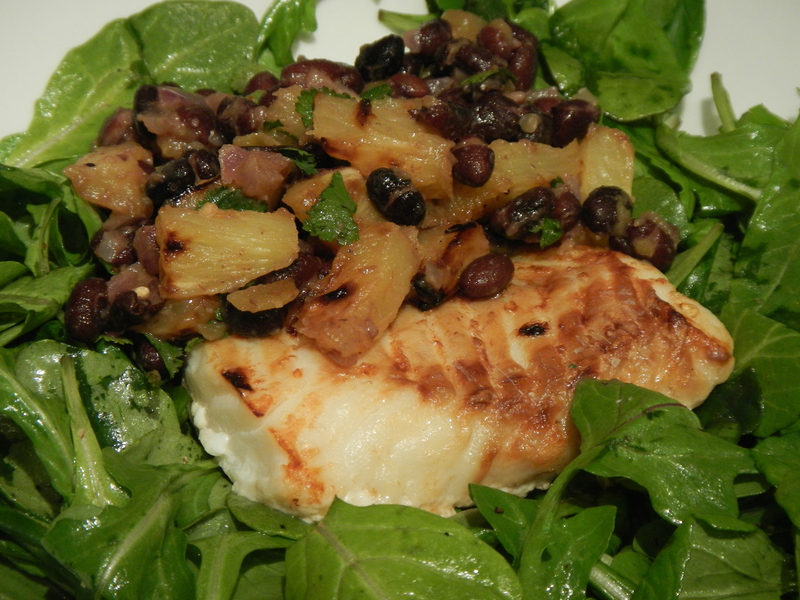 Serve the cod topped with the pineapple-black bean salsa. 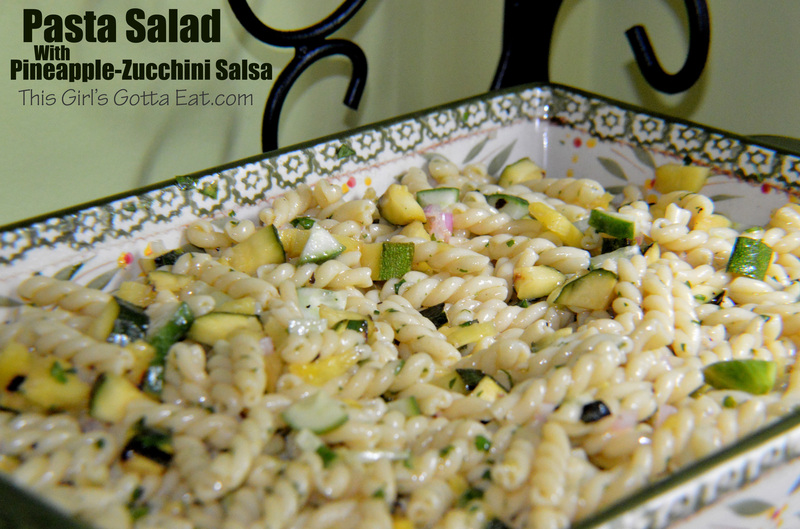 Serve over brown rice or with an arugula salad (as pictured here) to round out the meal. You could also serve this in tortillas for taco night!